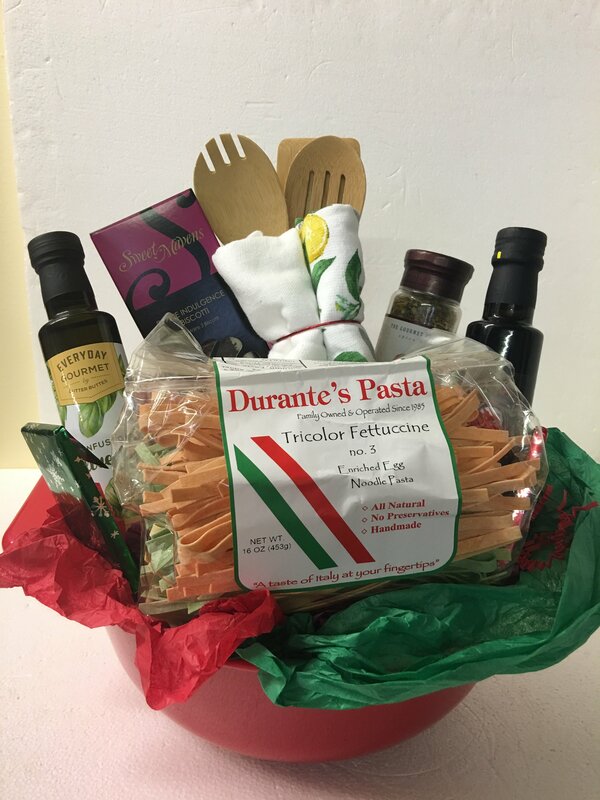 This unique fun basket is for the Italian lover in all of us. Includes fresh pasta, jar of sauce, Toasted Almond biscotti, hand towels, olive oil, oregano based spices, wooden spoon set, balsamic vinegar. All set in a reusable colander, color/style will vary.